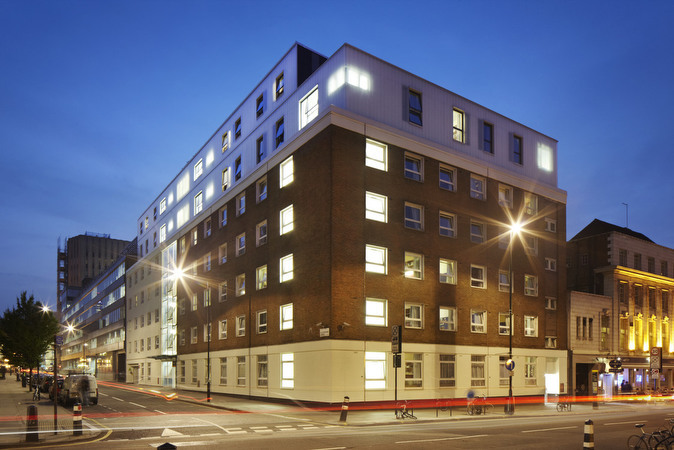 Working as a key supply chain partner to Mansell Construction, Premier Modular Limited was appointed to build a roof top extension for University College London. 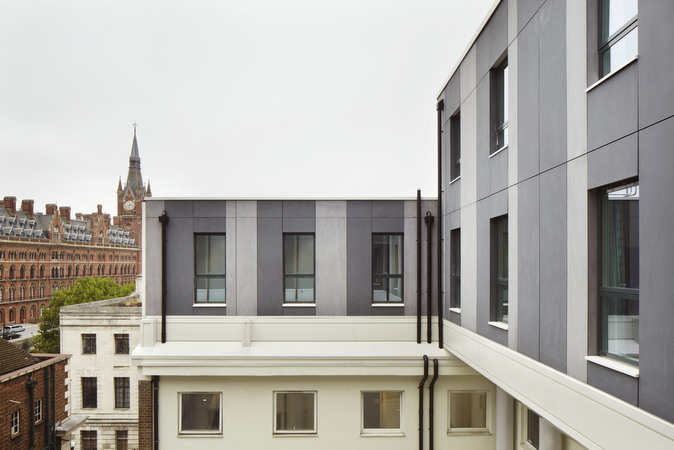 The new building was positioned on John Dodgson House, an existing 50’s built sandstone-faced college building located opposite St Pancras station in Central London. 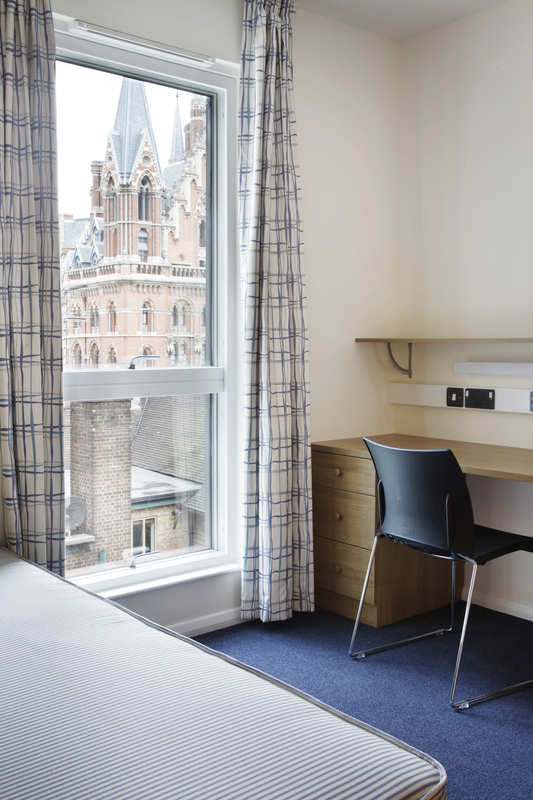 The 5th & 6th floor extension provides valuable additional student bedrooms in an area where space is impossible to find and land value makes many projects economically unviable. 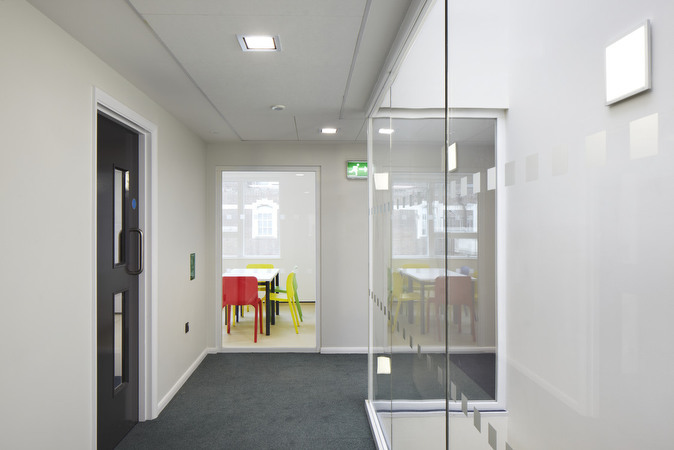 This space saving solution, with an external façade of non-reflective glass, provided 55 bedrooms with ensuite bathrooms and shared living spaces such as kitchens, lounges and study rooms. 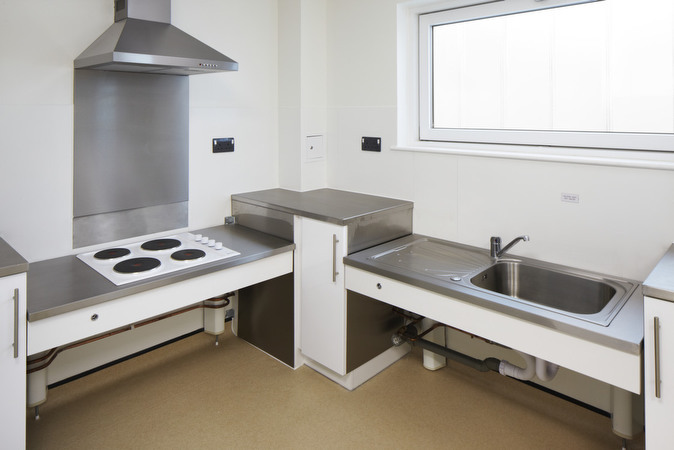 The extremely difficult site location called for exact timings on deliveries and superb communication to minimise disruption. 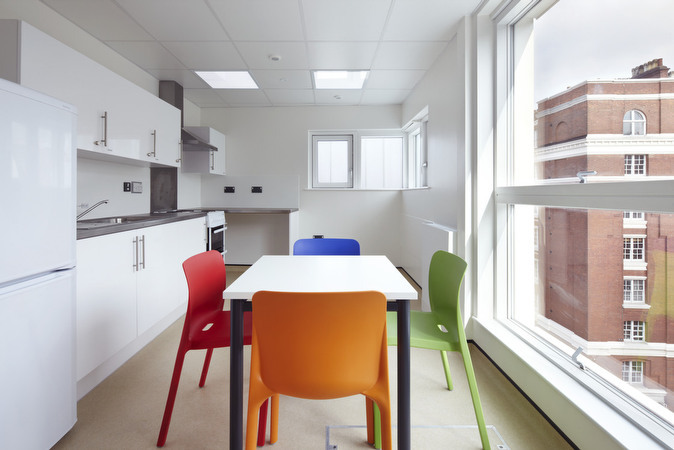 All modules were also completely fitted out in the factory including the bathrooms to minimise work on site, not only to speed up site time but to minimise health and safety risks working at height.